This afternoon we have the pleasure of photographing this beautiful couple’s wedding day in Alexandria,Virginia. 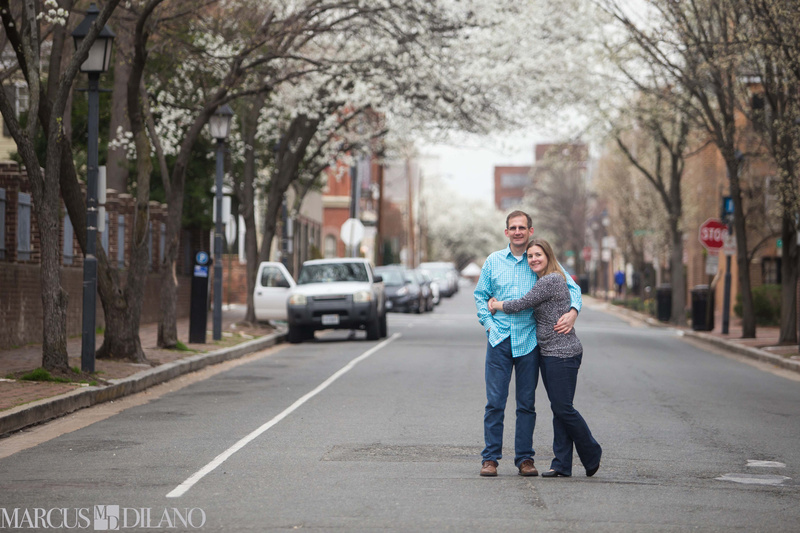 Dwayne and Mary choose Alexandria as the location for their engagement session because they love the area and spend a lot of time there on the weekends. We could tell they knew the area because they were able to point out of different buildings and discuss the rich history behind them. We are looking forward to capturing all the beautiful moments of their day. Below are a few of the images from their session. I’ve always wondered about middle of street shots like this. Do you just shoot and have a watch out or how? Since Marcus and I do most if not all of our engagement sessiona together, we typically have one person play lookout. A bigger benefit may be that our sessions tend to start by 8am on weekends. Due to the early start we don’t have to worry about a lot of vehicular and foot traffic.